As a specialist in predictive maintenance applied to the automotive sector CARFIT announces a partnership with VINCI Highways. Our latest product, CARFIT PULS, is a new connected vibration sensor marketed with a toll transceiver from VINCI Highways, to allow drivers to be better informed about the general state of their vehicles. This will increase a driver’s safety, and that of those driving on the VINCI managed highways. Our CARFIT vibration sensor will also be used to monitor the condition of the undercarriage wear to parts such as the tires, wheels, shocks absorbers and brakes. The CARFIT PULS simply sticks on the back of the steering wheel. It communicates with an application and a chatbot on the user smartphones (Android/iOS) which provides the driver with maintenance alerts and maintenance recommendations. For VINCI Highways, the safety of drivers traveling on their highways is indeed a priority. Each year, more than 180,000 repairs are performed on the VINCI Highways network, 25% of which are directly linked to the condition of the tires. 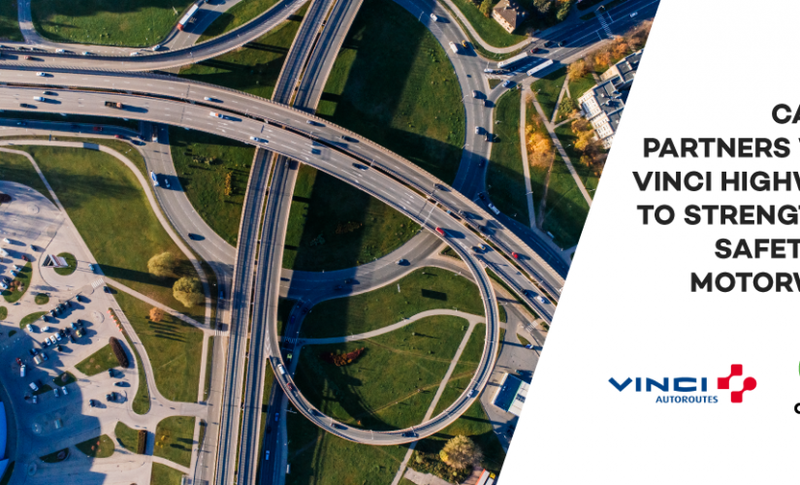 “The partnership between CARFIT and VINCI Highways is clearly in line with our desire for an ever more personalized service and safety prevention for our customers,” says Sophie BERNARD, Managing Director at VINCI Highways. The electronic toll system service can be used on all motorways in France and throughout nearly 400 car parks.